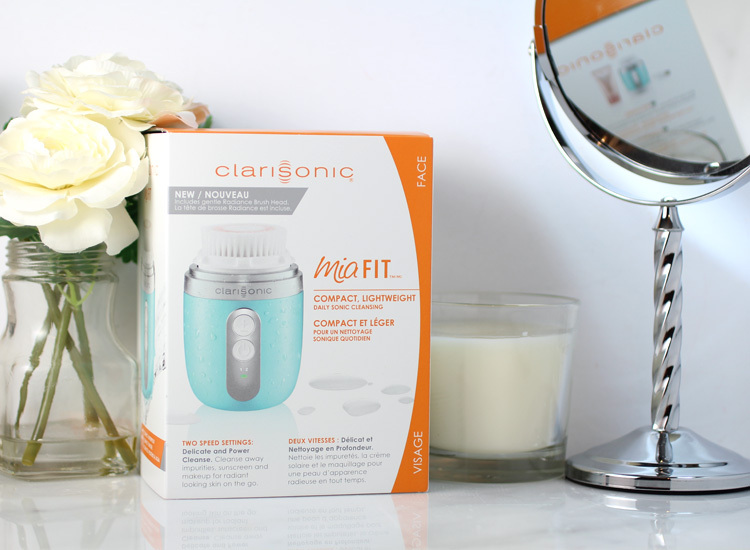 Get a Powerful Cleanse with the Compact Clarisonic Mia FIT. 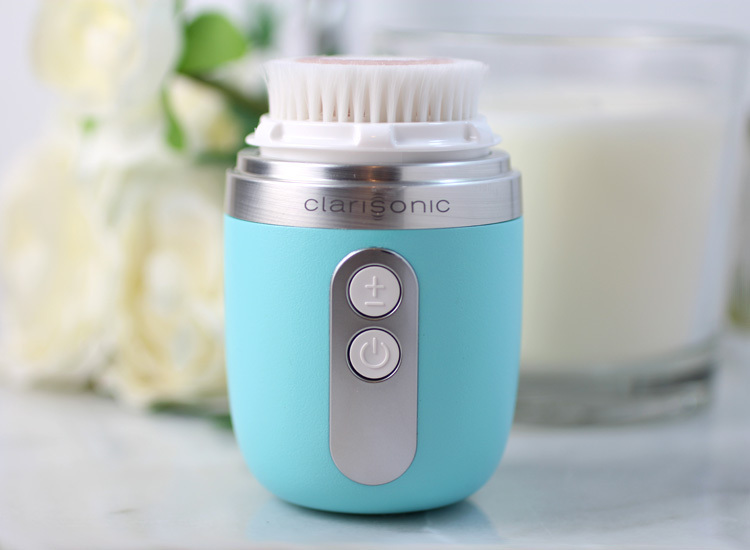 I recommend the Clarisonic skin cleansing device probably more than any other beauty tool to everyone I know. This sonic cleansing tool cleans the skin better than anything I've ever used. IN fact, by using it, I swear that my skin is more soft and smooth and looks more radiant and even in tone. I had the original Clarisonic skin cleansing device when it first came out over a decade ago, a Clarisonic Mia (the first version along with the most recent Mia 3); I have the Clarisonic Plus for face and body, Clarisonic Radiance and a Clarisonic Pedi for my feet. Now Clarisonic has launched a compact Clarisonic called Mia FIT. This sleek compact version, which may be small, delivers a thorough and very powerful cleanse. Sporting a super sleek, new modern shape that fits easily into the palm of your hand, the Mia FIT removes everything from everyday impurities like dirt and oil to sunscreen and makeup. It removes these things and cleanses the skin 6X better than washing the skin with just the hands alone. It works so well becasue of the patented sonic technology that oscillates the brush head back and forth at over 300 movements per second — that's powerful! It truly is a cleanse that is more effective than anything I have ever tried and that is why I recommend it to everyone that I know. The Clarisonic skin cleansing devices make skin more receptive to creams, serum and moisturizers so that pores are smaller, fine lines and wrinkles are improved and as I said above, skin tone is greatly improved. The Mia FIT features two preprogrammed speed settings. These settings are different than on other Clarisonic devices and are perfect for on-the-go use. Setting 1 is programmed for 60-seconds and a delicate cleanse to remove your everyday and average impurities. Setting 2 is programmed for an 80-second power cleanse which is great for after workouts or hard to remove long-wearing makeup. Mia FIT comes with the Radiance Brush Head which has really smooth and luxe filaments on the brush head so it's perfect for even sensitive skin. 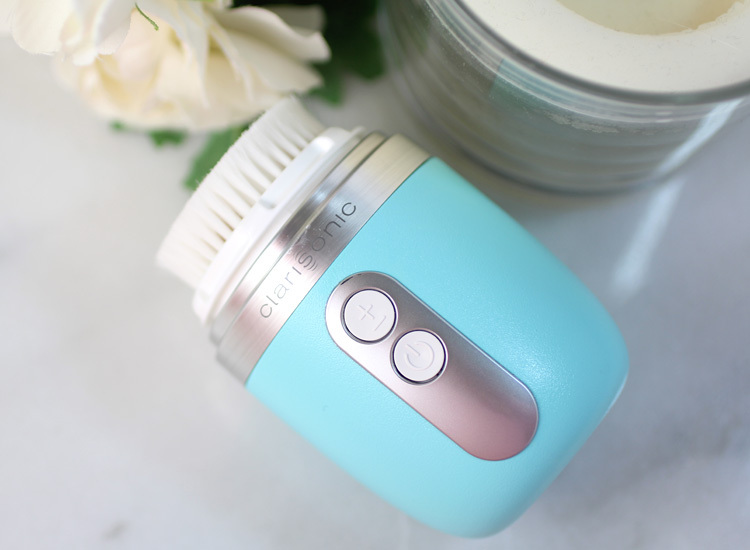 My skin is somewhat sensitive and peels and exfoliants sometimes make my skin red, but I have never experienced any redness from using a Clarisonic skin cleansing device. If you are very sensitive and do develop any type of sensitivity, cut back on your use and only use the device two to three times per week until you find what works best for your skin. The Mia FIT comes in three shades; the Blue like I have along with a White and Pink shade. Buy the Clarisonic Mia FIT for $189 at Clarisonic.com, Sephora, Nordstrom, Macy's, Ulta or other luxury retailers now.